Being picky about the tech. Adam Lambert says "Hello Jessie"
sittning here surrounded by a bunch of lovely Sparkly Swedes:) life's good! was supposed to watch Superbowl with my little brother last night, but fell asleep on the couch instead, lol. Första kändisspottingen jakob "ah va fan" eklund. I'm so happy after last night that nothing can get me down. "Adam Lambert besöker NRJ där Knappen & Hakim för en härlig pratstund! Tidigt är trevligt när det gäller radio..."
Crazyyyy rush hour traffic this morning! @adamlambert Had a great time at Mix Megapol. Thank you so much. You sure is the coolest EVER! I would upload my photos from last night but unfortunately I won't have time today. Stupid uni. Thank you @adamlambert for an amazing show and for being so sweet to all the fans:) hope you're all ok! Loved #Madonna @ #SuperBowl !! Not liking Madonna's performance, embarrassing tbh. omg why are my pics sideways?? Must say that Adam was right. @isaacthecarp @tommyjoeratliff and @kevmokeys had it in the pocket. Awesome job guys! @saraherin herregud jeg er så glad i deg, og SÅ glad for at du likte han live :D Utslitt, men hadde lett gjort det igjen!! Is it really true what happened to night? I feel like I had seen a movie about someone meeting Adam. Am I supposed to be able to focus at uni tomorrow? Great! I wanna watch #Superbowl, but mom and dad watches GOLF! on the subway home, gonna take a look at pics when I get home. @tommyjoeratliff I'm so happy you came! Thanks a lot for the show, the autograph and the pictures!!! I can't study, I can't sleep, I can't eat, I can't watch TV.... I DON'T KNOW WHAT TO DO!!!!! @adamlambert please come back real soon!!! I will also post all my pictures. I will post a recap when I'm back home tomorrow and have my computer. @monflaa @adamlambert he sure does. 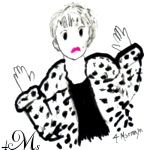 that blog translation is making me grrrr, not correct!! SO happy that tonight happened. So happy that I decided to go and try and get in and see what happened. Amazing! He's SO amazing! Like WOW, how can he be that good? It's not normal! OMG how am I ever going to function like a normal person again? Adam I think you broke me. @mariehjo I'm so happy I got in!!! ;D best day in a looong time! Miss all of you already! @mariehjo HAVE FUN! I just got home. Thanks for an amazing day! Adam was SO funny, cracking jokes about some "euro trash", talking with a funny accent and breaking the mic stand and OMG,he's the BEST! @adamlambert thanks a lot for today!!! The show was amazing, you were amazing, everyone in your crew was amazing, everything was AMAZING!!!! Adam seemed to be really relaxed. I loled at the lyric fails in WWFM and his banter before Trespassing was hilarious! What a great gig! Felt so cozy and relaxed with a happy and joking Adam ;-) Will post some pics on FB later tonight. Now time for dinner!! hope mix doesn't cut out him talking between songs, he intro'd trespassing as "this is my last trick"
Vi kan nog inte säga annat än att det var AMAZING! We're off to flail over some food. I love days like this. That showcase was just, wow! Thanks for all the @! Will answer when i'm back in Norway! 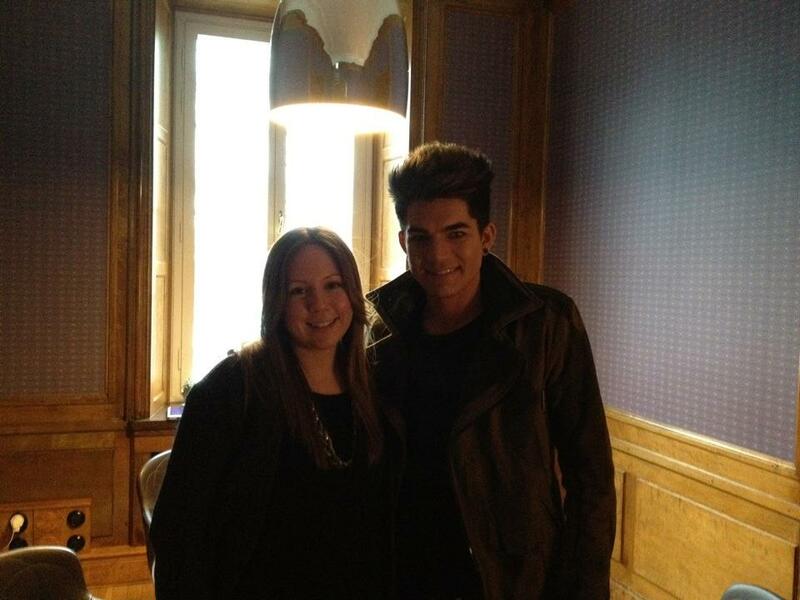 Adam at the Stockholm showcase! OMG! My heart is beating so fast! I survived standing next to Adam. I would officially die if Adam and IAMX did something together. The showcase was amazing and after we got to take a photo in groups with Adam. We all got to take photos with Adam, but in groups. Really chill. And he looks gorgeous, of course. Ha! I told him to collaborate with IAMX and told him they are working in LA right now. He reaööy wants to Mission accomplished. Omfg!!! Met Adam Lambert <3 kskjdksøldjd!!! OMFG I GOT 2 HUGS!!!! His "eurotrash" accent... We were in stiches. Then his mike broke. All in all, eeeek! So amazing. I can't stop smiling. OMG WE GET TO TAKE A PICTURE WITH HIM!!! Same setlist as the previous showcases and the audience was really into it. Amazeballs. Adam forgot the lyrics to WWFM and did a bit of stand up between the songs. Hilarious accents! Det här var det ingen som kunde förutspå skulle ske. Nu måste wrestling bli stort här. oh, we are;) RT mitla96: @mariehjo Be prepared for goosebumps! lol! will try:) RT @alexandermorner: @mariehjo You better DAMN give him what he deserves! Wish I could be there!! I GOT IN TO ADAM'S SHOW!!!! We're in! Holy hell yes! we're in! and it's small!!! And a couple of Danes <3 RT @mariehjo: sittning here surrounded by a bunch of lovely Sparkly Swedes:) life's good! @mariehjo are you coming soon? Är det nån i Stockholm som kan tala om hur man fixar sms-biljett till tunnelbanan? Some young girls with balloons just walked past belting out WWFM. I almost pissed myself laughing. - Adam had broken the microphone stand (LOL!) and was standing up singing with the mic in his hand. - Most of the audience were sitting on the floor during the show (including me) but the atmosphere were great anyway. - He started the song with some talking "come on, get a load of me...". - Adam was clapping his hands and stomping his feet many times during the song. - The audience joined Adam (mostly by clapping). - The song was really loud and the floor was shaking. - Vocals became more intense further in the song. - There is a part where he's panting "ahh ahh ahhh...". - There are some high notes. Band stopped playing at one point and all you could hear is a A+ note from Adam. Then the band starts playing again while Adam is singing some more high notes. - You can definitely hear that Pharrell produced it. - The song is really amazing and the whole audience seemed to love it. It's so catchy! - It feels weird to watch videos from Austria because the vibe during the song in Stockholm was different. So much more energy! til sine danske fans. Læs hele interviewet på www.frikvarter.dk den 7. An instant Part 2 download. 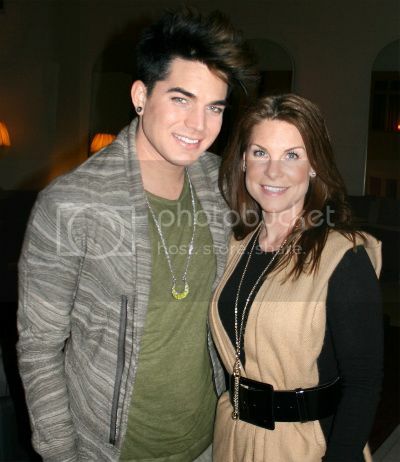 On Saturday evening the star Adam Lambert (Whataya Want From Me, If I Had You & For Your Entertainment) arrived to Stockholm. I have to admit that I am a pretty new fan of Adam because I hadn’t set my eyes or ears on him until last autumn. But very quickly he has become one of my favorites. The top for me was when Adam jumped in and sang the Queen-medley together with the original members of Queen as the closing number of the European Music Awards. What pipes! Now I got an invitation to go to a gathering with Adam on Sunday. Thank you, Sara Jönsson! I thought that since it was a meeting with a world star, there would be at least 60 people present, but nope. We were seven in all, including Adam. When I realized that, I started to feel a little panicky. During all my years in the film and music industry I’ve had a chance to meet a lot of lovely people, but with Adam I became nervous. Very nervous. Adam arrived with a big smile on his face and shook politely hands with us all, and the discussion was immediately going on with a lot of laughter. Adam said that he hadn’t had chance to eat breakfast yet (even though it was past 4 pm) and he ordered a Redbull since he was still suffering from jet lag. Adam had been exercising in the morning and he does exercise a little every day but he was devastated that he couldn’t fit into Freddie Mercury’s stage clothes. -I’m a little too big around this area, and pointed at his waist with a pouty lower lip. Adam talked about his new album Trespassing (which will be released on March 21st), half of which will have faster songs and the other half a little calmer and deeper ones. He has collaborated with Bruno Mars, Pharrell Williams and Dr. Luke. He told that the songs are funky but still with a rock feel in the sound and the record is very, very personal. 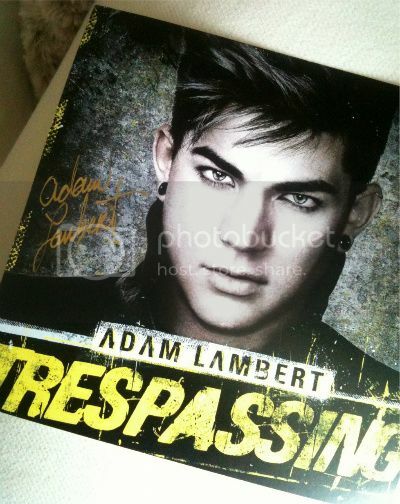 Adam explains that Trespassing means the trespass the media sometimes does on him and also the trespassing he is doing to us with his music when he reaches into our souls. I was often impressed by Adam’s confidence and wisdom and I told him that. He laughed and thanked me, and said that it wasn’t always like that with him, that he also has his bad days but that he was working on it. Adam preferred not to go outside the hotel because he thought it was way too cold (who can blame him?) and that the other guys of the band, also Tommy, were upstairs in their rooms in bed as they were not feeling well. It turned out later that even though the guys were feeling ill, they gave their all in the acoustic gig at Mix Megapol where they played Fever, Outlaws of Love, Better Than I Know Myself, Whattaya Want From Me & Trespassing. Outlaws of Love made my lower lip tremble. This is what it looked like when Adam Lambert performed in Mix Unplugged. 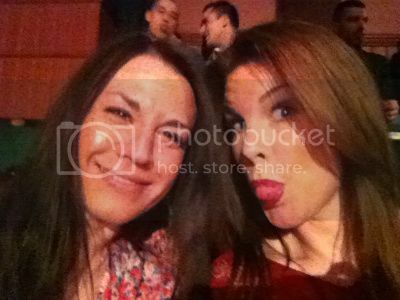 This is what you can look like when you are sitting in the QX Gay Gala and find out that Adam will not be performing. Adam was supposed to perform in the QX Gay Gala on Monday but by that time the stomach flu and fever had reached even him and the performance was cancelled. Unfortunately also I and Sara were infected by Adam, so now we are also bedridden. Thank you, Adam! I hope Adam feels better and that they managed to do all the press things before they whisked him back home to LA. Adam was genuine and lovely and I’m extremely grateful and happy that I had the honor to meet him. Thank you, Miachihu (@miachihu) & Zinnia (@tiiqqu), for the translation. You are both treasures!!! 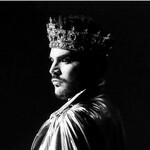 February 08, 2011: American Idol runner-up Adam Lambert is set to launch his second album, Trespassing, on March 16th - Richard Wilkins spoke with him exclusively.